Are your teeth misaligned? Do you have an underbite or overbite? Whether you are embarrassed by your smile or experience discomfort due to structural issues, this comprehensive guide will tell you everything you need to know about corrective braces. Certain disorders of the jaw joints. Patients can benefit from braces at just about any age; however, when deciding whether to get braces for children, it’s usually best to wait until they are between the ages of 10 and 14. This is a key time when the mouth and head are still growing, and the teeth are more sensitive to straightening. At the same time, braces are not just for children. These days, more and more adults are wearing braces to improve their smiles and ease oral discomfort. If You Have an Overbite, Do You Need Braces? Many people decide to get braces to correct aesthetic and/or comfort issues surrounding an overbite. In most cases, braces can effectively correct a troublesome overbite; however, in rare instances, surgery may be necessary. If you are concerned about your overbite, consider meeting with a local dentist to get a professional evaluation. Because they leave less room for teeth to grow, smaller mouths can promote crowding once permanent teeth begin growing. Some kids push their tongues forward against the lips, which can cause an open bite, a protrusion of teeth or other issues. Some people develop extra teeth, which can cause crowding. Other people suffer traumatic injuries or untimely tooth loss, which can also cause dental issues. This can affect the bite and cause difficulty chewing. It can also contribute to Temporomandibular Joint Disorder. Some people may experience alignment issues, when they engage in thumb sucking during and beyond infancy. While accidents and bad habits can cause alignment problems, most people inherit their dental issues. Just like every other part of body, genetics play a key role in determining whether our teeth will be straight or crooked. If your parents needed braces, there’s a good chance you will too. A qualified dentist will recommend a specific type of braces, depending on your unique needs. That said, the choice will usually be up to you. There are three basic types of braces: metal, brackets and plastic, the latter of which are much less noticeable. Lingual braces include brackets that affix to the rear portions of the teeth to stay out of view. Bands are the traditional form of braces, which cover the majority of teeth with metal bands. Most braces use wires to slowly force teeth into the desired position. Many children and adults prefer modern, non-metallic braces, because they are less noticeable. These consist of custom-engineered plastic aligners that look like the mouth guards worn during some sports. Plastic aligners are removable and come in a series of 18 to 30 molds, which are replaced every two weeks. These types of braces come with positives and negatives. On the good side, they are nearly invisible and come with fewer dietary restrictions. On the downside, they are costly, may need to be worn longer and can be lost easily. They are also not appropriate for children or for serious dental issues. This depends on your individual needs and treatment plan. Most patients will need to wear their braces for between 18 to 30 months. The older you are and the more complicated your spacing issue, the longer you will need to wear your braces. You will also need to wear a retainer for a few months up to two years to keep tissues aligned. Some people have to wear permanent retainers to prevent their bites from returning to their previous positions. Most people experience no discomfort when they are getting their braces. That said, to effectively move teeth into the desired position, interconnecting wires must be tightened at every visit. This involves applying mild pressure on the bands or brackets to shift the jaw or teeth. Depending on your unique spacing issues, you may experience soreness after each tightening. This discomfort is usually mild, however, and goes away within a few hours or a couple days. 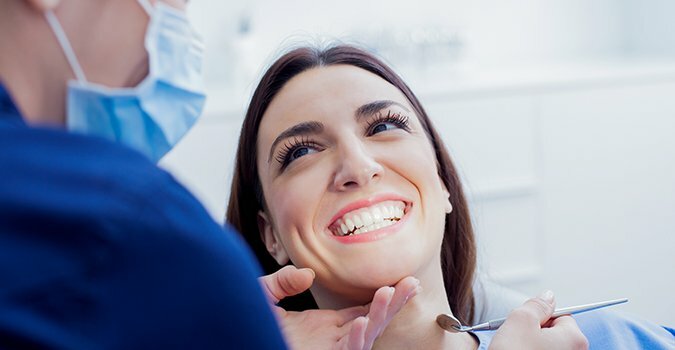 If the dentist determines that your teeth are too crowded to provide adequate room for shifting, he or she may recommend that you have one or more teeth extracted. This will create adequate room for your teeth to settle in the desired position. Thanks to modern dental treatments, extractions are usually painless with some mild soreness hours after the procedures. Most people rely on their family general dentist to coordinate their orthodontic treatment plans, which will involve examinations, diagnosis and corrective procedures. In many instances, a general dentist will refer clients to an orthodontist; however, this is not always the case. The cost of braces will depend based on the treatment needed, insurance coverage, type of braces, and location. In most cases, insurance will not cover the cost of braces for adults; however, you will need a thorough evaluation with your orthodontist to know for sure.